​Being a modern vaporizer, DaVinci IQ vaporizer is smart and comes with several useful intelligent features. It is designed to provide you with a preferred and satisfying experience. While it’s price might make you think again, its features like temperature control by degrees and app control might ignite the desire of having one for you. You will not regret buying a DaVinci IQ Vaporizer. This vaporizer is the only vaporizer allowing you to control temperature to the degree without using the app. However, there is a limitation. 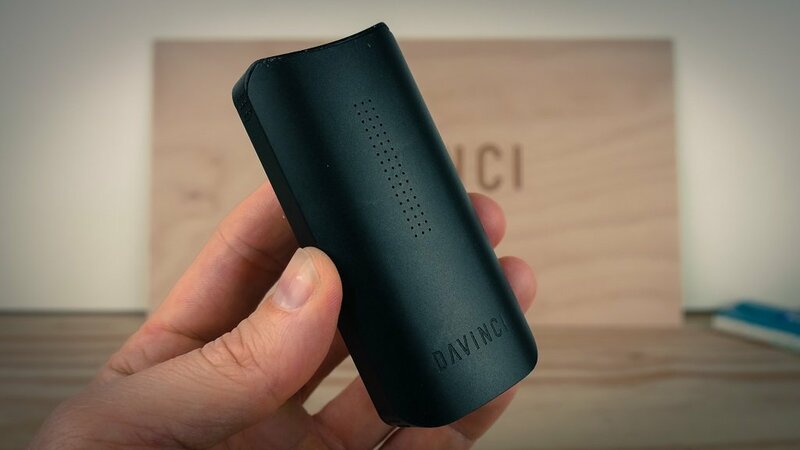 While other vaporizers in the same price range such as Firefly 2 and PAX 3 allow both ground material and concentrates, you can use only ground material in DaVinci IQ vaporizer. In this DaVinci IQ vaporizer review, we will cover the design and Modes & app. With its rounded rectangular body dimensioned to 3.54 by 1.65 by 0.94 inches, it is pretty portable. Black, copper, blue or gunmetal gray are the different versions you can purchase. It also has a limited olive version. This vaporizer has a pre-installed mouthpiece. The Zircon ceramic mouthpiece goes at the top of the device. There is a vent which is mounted on a hinged door. You can flip the hinged door open to remove the mouthpiece. You can also switch it with the 10mm adapter. The material is placed in the flavor chamber under the door. There is another hinged door at the bottom with the vaping oven behind it. Its replaceable battery is concealed under the bottom door. There is a micro USB port for charging the device. According to the claims made by the company, the battery once fully charged can last an hour and a half when in use. There is a control button to turn on or off the device. Just press and hold the button to activate the Boost mode. There are seventeen pinholes containing LED lights forming a display. You will also get an extended mouthpiece, a toothpick-like cleaning tool, one cleaning brush and a micro USB cable. You will also get a metal chamber to store ground material. Smart Paths or Precision are the two modes. Used for heating to a precise temperature from 250 ° F to 430° F.
iOS and Android DaVinci app allow you to control the device. You can edit Smart Paths which by default are 410° F to 430° F, 390° F to 410° F, 370° F to 390° F and 350° F to 370° F. You can also track the average session length and running time. You cannot use the app without creating an account. Hope that this DaVinci IQ vaporizer Review will help you out in making an informed decision. 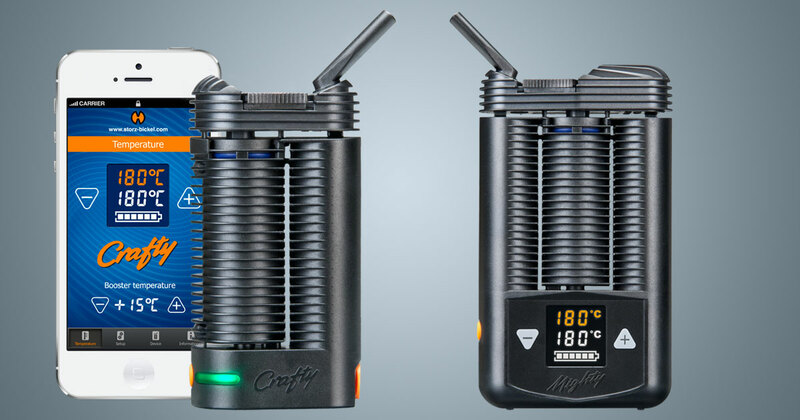 Crafty v/s Mighty Vaporizer - Which Is A Better Vaporizer? Are you looking for a premium vaporizer? Well, Storz & Bickel is known for manufacturing some of the best vaporizers. The two most popular vaporizers are Crafty and Mighty vaporizer. But, which is better? It's a tough choice, but don’t worry, we will guide you in the best possible way. The Crafty is compact and portable, and you can easily take it along wherever you go. On the other hand, Mighty is a bit larger to fit in a standard pocket but offers faster heat-up time, better battery life, and onboard controls. But, before you make any decision, let’s have a look at the detailed comparison of two. Speaking of the vapor quality, both Crafty and Mighty offer excellent vapor quality. They start with the convection and slowly warms up bringing the conduction to be full for deeper extraction. One cannot easily distinguish between the vaporizers based on their vapor quality. However, if you talk about the cooling units, Mighty’s larger top piece means better cooling. This gives Mighty one extra point. Talking of the portability, you will have a hard time fitting Mighty in your pocket, unless you are wearing cargo pants. No doubt, you can easily carry around the device in your bag or purse, but the size may make you feel awkward when out in public. But, if you want a handy device which you can carry around and enjoy the vapors on the go, then Crafty is a better option. Here, Crafty takes an extra point. The Crafty comes with a flat bottom surface which allows it to stand straight up when loading. On the other hand, Mighty’s rounded bottom will not stand up on its own, and you have to use other vaping accessories to load your herbs. Although, both the vaporizers include easy loading tool which allows you to fill the herbs without creating any mess, but Crafty still gets an extra point for its ease of use. As they say, the bigger, the better, and Mighty vaporizer proves it true. The device delivers twice more battery life than the Crafty. You can easily expect around eight to ten sessions with a single full charge on Mighty. With Crafty, you will get only half of what you get from the Mighty. This makes a downside of Crafty, but if you keep it charged, you can enjoy around 2-3 ovens. All in all, both are great in their own ways and serve you the best. It is tough to pick one, so it is best to look for what you expect out from the vaporizer. So, what are you wondering? Pick the best one! Vaporizers are trending, and you must be planning to buy a vape till now. While there are so many methods to purchase, the term bitcoin is also now an option. You can now buy a vaporizer with cryptocurrency! You heard that right. Before we disclose you the information about purchasing a vape using cryptocurrency, let’s find out some details about the term bitcoin (the latest cryptocurrency in the market). Bitcoin is a digital currency, and you can use it to transfer value over the web within seconds, just like an email or a tweet! The values of Bitcoins are stored in the blockchain. Anyone can run the open-source bitcoin software on their system (whether mobile, laptop, or PC) to save, receive, and send bitcoins. It is not controlled by any government body, company, or bank. Bitcoin is a decentralized peer-to-peer network, operated by hundreds of thousands of computers running the Bitcoin software across the globe. It holds value given only a few bitcoins exist in the market and people tend always to value the decentralized, virtual, and anonymous characteristics. The currency is often termed as virtual currency, which does not make full sense as almost all currencies used today, over the Internet, are stored virtually as 0 and 1 in a bank computer. The primary distinction is cryptocurrency is operated and managed by computer power and mathematics. It’s Quick: As mentioned above, it takes almost the same time as sending an email. It takes a few seconds to send your Bitcoin to someone sitting in another part of the globe. It’s Private: Transactions done using Bitcoins are unlinked to any place, person, or party. It’s Decentralized: Like the Internet and torrent networks, cryptocurrency hard to suppress under any company, government, or organization. It’s Safe: Validated by thousands of computers worldwide, it can’t be intercepted or canceled. Once you backup & store your bitcoins in a secure place, it’s almost impossible to access it without your consent. It’s Global: Whether you are sending money to Asia, Europe, Russia, USA, or anywhere, the price, speed, and the value remain the same. The only thing required a system with an active internet connection. So, these are some benefits that you can enjoy when you buy a vaporizer with cryptocurrency. 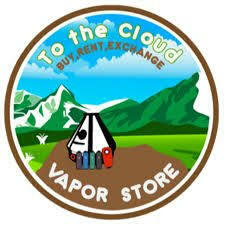 For more details, you can visit To The Cloud Vapor Store. Increasingly widespread among growers around the world is the use of vaporizers to consume marijuana. Although initially it was a practice more used in the medical patients, little by little it has been gaining ground among all type of consumer by the multiple benefits and advantages that entails against traditional methods or even used in kitchen. In Cannabislandia we want to review and expose some of the many benefits and advantages of smoking using vaporizers. Mainly because it is much healthier. The smoke from the burning of marijuana that is inhaled in a joint, contains approximately 90% of non-cannabinoid particles that are mainly carbon monoxide and tar very toxic agents and tremendously damaging to our health. In vaporized cannabis, on the other hand, the active cannabinoid content of the vapor is approximately 95% and the rest is a non-toxic oil, which guarantees that our lungs do not receive harmful products . A study reveals that switching to a digital volcano vaporizer can reverse respiratory symptoms caused by smoking marijuana using traditional methods, something to keep in mind. Depending on the make and model, we will guarantee a more effective vaporization, since we can regulate the combustion temperature also determine the level of rush. We will notice a significant saving in our marijuana pantry, since with a joint as we discussed above, most of the cannabinoids are lost during combustion, which is not the case with digital volcano vaporizer. Logically, we will need less cannabis to achieve the same effects, so the amortization already begins with the first inhalation. It also allows us to carry it on and use it anywhere with total discretion if we opt for a laptop, very appropriate especially for medical patients who want to have a normal activity and consume when necessary and wherever you are. There are different types of vaporizers and interestingly, they arrive in a collection of shapes and sizes, with choices for any way of life. Some highlight an outside warming component while others warm inside and send hot air over the weed utilizing either a fan or a rechargeable battery. Regardless of whether you intend to get high at home by the day's end or stay cured amid the day while in a hurry, there is a Storz and Bickel Crafty vaporizer out there for you. Here are the main types of vaporizers available in the market. Extensive "tower" style vaporizers intended for home utilize. Their name is gotten from the inside fan that sends a current of air through the interior warming chamber over the herbs and into either an inflatable sack or whip for coordinate inward breath. In such vaporizers, the weed you input is filled inside in a space termed as Wand. it then rests delicately after it’s finished warming the component, which turns pretty hot. These are extremely famous units for the convenience. The users can control the extent of the hit they get by their relaxing. The all the more forcefully the client breathes in, the more air is pulled over the herbs in the wand. These are awesome starter vaporizers since they warm up rapidly and it's anything but difficult to perceive how much herb you've utilized. When it comes to portable ones, there’s always an ongoing debate between crafty vaporizer vs mighty vaporizer. These are vaporizers intended for advantageous utilize while you are in a hurry. Compared to air and whip-based vapes which are for the most part entirely comparative in their feel and development, vapes made from portable vaporizers arrive in a wide exhibit of styles. Some element interior batteries which must be revived from an AC or auto charger, while others can be enacted utilizing a push-in battery. The weed vaporizer sector has advanced over the previous couple of years and now it’s starting to grow new innovation as dry herb vaporizer pens. Beforehand the main materials that pens were better than average of waxes and oils. 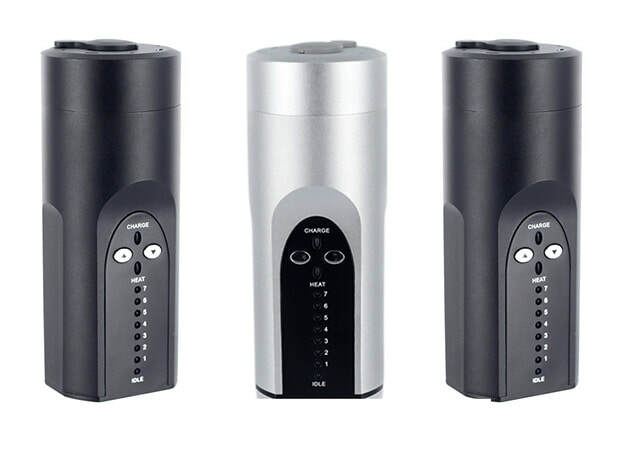 Presently, with the headway of vaporizer innovation and yearning organizations dumping a huge number of dollars into item outline and creation, there’s a diverse variety of these vaporizers available in the market. Before you go and make decision of buying volcano vaporizer on sale, here’s a complete guide on volcano vaporizer to make you familiar with what it is, who makes it, how much it costs, and much more. Let’s dig in the details one by one. Vaporization refers to the complete process of discharging aromatic and fragrant compounds of essential oils, herbs, spices, and more without actually burning them and ending up in smoke. Volcano vaporizer is a patented tech which is used to heat up the elements without burning them and like steam, fill the valve balloon with an aromatic vapor. Storz & Bickel is the manufacturer of volcano vaporizers. Formed in 2000, the Tuttlingen, Germany-based company is regarded as the producer of world’s best vaporizers. This is the reason it ranks as the market leader owing to its cutting-edge engineering and latest designs. Storz & Bickel vaporizers are known worldwide for their unmatchable quality and durability. How Much Does Volcano Vaporizer Cost? Known as the legend of paraphernalia, the Volcano vaporizer costs you $670. Though the price may seem a bit high but the level of result it offers is incredible. Classic Volcano Vaporizer: Probably the best one in the market, Classic Volcano Vaporizer is the perfect blend of design and durability. It performs well and gives vapor of highest quality. For protection, it has stainless steel cover and tough plastic that serve for years. Made with German engineering, the Classic Volcano vaporizer is very easy to use and has different features. If you are looking for a durable and high end product, then this vaporizer is your best bet. Digital Volcano Vaporizer: Again from the store of Storz & Bickel, Digital Volcano vaporizer is an amazing choice. It is a top of the line product that offers three year warranty and 90 days trial period. Delivering a great user experience, this volcano model is easy to use, store, and works for years to come. Hope this post helps you in better understanding the concept of volcano vaporizers and the best choices you can pick from.